Abdul Aziz Al Saud, first monarch of Saudi Arabia, wanted his nation’s borders based not on geography, but on the migration of tribes. The British High Commissioner, Sir Percy Cox, lost his temper and started yelling, but Ibn Saud had a good point: a nation is not necessarily the same thing as a state. A nation exists in the hearts of the people who belong to it by some combination of heredity and choice. A state, on the other hand, exists in physical space. The two can be as one (a nation-state), but they don’t have to be. In many parts of the world, nations overlap in the same geography: Israel and Palestine; Turkey, Kurdistan and Iraq; and Tibet, China and Taiwan. Nations can overlap states, be contained within states, or be distributed in communities worldwide like the Chinese and Jewish Diasporas. Such relations tend to be uneasy, and sometimes (Yugoslavia, Rwanda) turn tragic. What makes a group of people into a “nation”? Culture, common geographic or ethnic origin, religion, history, numbers, and political clout all combine. Nations can self-declare, but others eventually have to recognize them as a distinct population. The Kurds and Tibetans are generally recognized as nations even if not as states. Some nations (Native American tribes) get some limited privileges of statehood. Other self-proclaimed nations (Nation of Islam, Aryan Nation) get little recognition except from their immediate circle. “Nation” can exist on a metaphorical plane as well. We can be members of more than one nation (if not more than one state) at a time. We might recognize our national, ethnic, or racial origins, or embrace the community of our religion or political movement. Regional differences form nations. In his 1981 book The Nine Nations of North America, the Washington Post writer Joel Garreau identified nine culturally distinct nations sharing our North American continent. Colin Woodard describes eleven regional cultures in his 2011 book American Nations. I’d like to propose three nations of my own. Three distinct motives drove Europeans to conquer and settle the New World. Business. New Romans came to conquer and build. The frontier was dangerous, but the potential rewards were great. “The business of America is business,” New Romans tell us, and pragmatically measure success in terms of wealth. It’s not an accident that Washington classical architecture is Roman in style, or that we have a Senate and do not have a king. Above all, it’s no accident we maintain the world’s largest military. Faith. New Israelites, from the Puritans of New England to the Baptists of Dixie to the Mormons of Utah, came here to settle a new Promised Land, to build anew the institutions and society of God. Society. New Athenians came from the explosive development of liberalism in Europe, which sparked a revolt against aristocracy and the divine right of kinds. Embodied by the intellectual elite that clustered around the hotbeds of political thought in great American cities like Williamsburg, Philadelphia, and Boston, they sought to build a pure Athenian democracy. 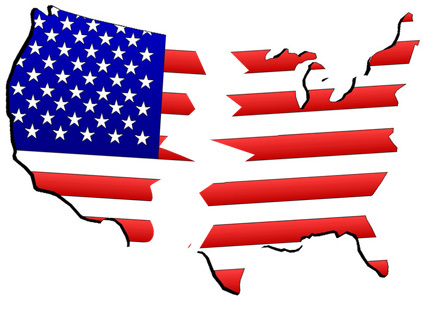 Each of the three nations has equal roots that stretch back before the founding of the United States of America. We share, but none of us owns outright, the state, even if from time to time we all wish we could. We are fortunate that no group is powerful enough to dominate alone. In practice, the country is governed by a shifting and inherently unstable alliance of two out of the three nations. Traditionally, New Romans, pragmatic in orientation, find it easiest to unify in a common cause with either of the other two nations, although occasionally New Athenians and New Israelites have found common cause. And there’s not a simple Athenian=liberal, Israelite=conservative pattern either: libertarians are New Athenian conservatives; utopian religious communities are New Israelite liberals. New Romans span the spectrum as well. Viewed through this lens, here’s our recent pattern: New Athenians and New Romans united to conquer the Great Depression and World War II. Their alliance could not withstand the philosophical discord and disintegrated over Vietnam and civil rights. Inertia sustained the cause for a while, but by the ascendancy of Ronald Reagan, the foundation had clearly crumbled beyond repair, and a new alliance of Israelite and Roman led the country into a new era. Right now, that alliance is showing its strain. History suggests that it will eventually fracture, but history does not say when. Regardless of your national identification, there’s a lot to like about the well-known 30-year political cycle. Ideas, like fields, need to lie fallow from time to time to maintain healthy crops. A strategy that worked on one set of problems turns into a one-size-fits-all solution, working on the well-known theory that when the only tool you have is a hammer, all problems start to look like nails.The success and the stability of the system require the three nation tribes to live with one another. The relationship among the three Americas too often resembles something in between a food fight and the Hatfield-McCoy feud. When we share geography with people whose values we dislike or distrust, we have to accept that they are here, that they are not going anywhere, and that they have a right to be part of the public discourse. Nations that have not been able to recognize and accept their overlapping distant cousins as neighbors inevitably turn to the only logical alternative: get rid of them. While the United States has robust cultural and legal institutions that make such an outcome unlikely, it’s never impossible. When I was young, my father made a point of paying attention to news sources and ideas he found stupid, repugnant, or just plain wrong. He wanted to make sure he understood them. I know he paid attention; I’ve even known him to change his mind. That’s SideWise Thinking. People who disagree with you can be opponents or enemies. Opponents are people with whom you have opposing interests, but a good relationship (trust, mutual respect.) Opponents keep you on your toes, make you think harder, and often stimulate your best work. Good opponents make your ideas better and your life richer. When respect and trust are absent, opponents turn into enemies, and with enemies, it’s personal and negative. “Keep your friends close; keep your enemies closer” doesn’t mean what most people think. Contact provides opportunity, either to find common ground, or to build a better relationship. While success isn’t always possible, it’s usually worthwhile to make a reasonable effort.